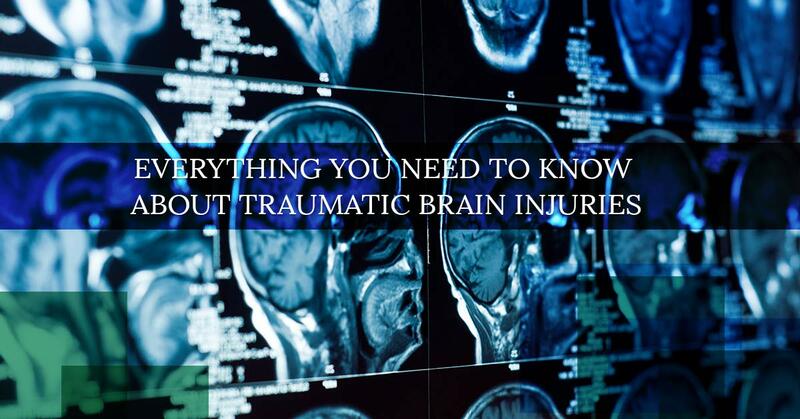 The definition of traumatic brain injury is almost as complicated as our brains themselves. Traumatic brain injuries, or TBI for short, can affect everything from motor skills to our personalities, and everything in between. Sometimes it is obvious that a traumatic brain injury has occurred, such as when a patient is experiencing loss of motor functions or is in a comatose state. Other times, TBI is not so easily detectable and can manifest in the form of a simple headache or mood swing. If you have suffered a personal injury in the state of Texas and have any symptoms of traumatic brain injury, seek medical help immediately, then contact our personal injury lawyers at The Law Offices of Alex R. Hernandez Jr., PLLC. to find out about financial compensation and specialized care. Traumatic brain injuries are caused when there is damage to the soft tissue of the brain. In some instances these damages obvious, like if there is an open wound on the head. Open head injuries are often caused by bullet wounds or impalement. But TBI can also occur even when the outside of the head looks perfectly fine. Examples of this might be if there is swelling in the brain, if a patient has been exposed to harmful chemicals that can cause neurological damage, or if there is reduced blood or oxygen flow to the brain. There are three common causes of TBI: car accidents, falls, and firearms. Firearms most often cause open head injuries, but open injuries can result from any form of strong impact on the skull. Open head injuries usually affect only the portion of the brain that is injured, whereas closed head injuries can diffuse throughout the brain. Signs that you or a loved one have suffered a traumatic brain injury include loss of consciousness, confusion, vomiting, headache, memory loss, mood swings, frustration, loss of motor skills, loss of cognitive skills, loss of mobility in arms and legs, speech problems, seizures, depression, blindness, etc. Oftentimes mild cases of TBI go undiagnosed either because symptoms have not fully developed at the time of medical examination, or because patients do not believe their symptoms are severe enough to seek medical attention in the first place. If you experience any of these symptoms in the days or weeks after a car accident or fall, it is possible that you have a traumatic brain injury. If you believe this occurred because of the negligence of another, then you have legal rights and could be awarded compensation. Have You Suffered A Traumatic Brain Injury? Contact Us Today! As we’ve discussed above, personality changes are a possible result of suffering a traumatic brain injury. But have doctors always known this? For a period of time, people believed that the heart dictated your personality, hence phrases such as, “A heart of gold,” or, “There’s hate in his heart.” However, one traumatic brain injury case changed all of this and helped doctors realize that your personality is actually directly connected with your brain. If you’ve never heard of Phineas Gage before, we promise you won’t forget him after reading this! Perhaps the most famous traumatic brain injury victim in history, Phineas Gage was born in 1823 and worked in the railway business. At the age of 25, Gage was blasting rock to clear a path for a railroad when an explosion sent a metal rod completely through his cheekbone and out through the top of his skull. Miraculously, Gage survived, but not without lasting effects. It is said that Gage’s personality changed drastically after the incident, with some reports claiming that he went from being kind and upstanding to exhibiting fits of rage and vulgarity. Though some of the aspects of his personality change have been exaggerated, it has been documented that Gage experienced states of semi-consciousness in the days following the accident, and suffered seizures for the rest of his life. Gage lived for twelve years after his injury, far exceeding doctors’ expectations and providing a case study for future brain injuries. Gage’s case showed physicians, possibly for the first time, that traumatic brain injuries can affect personality and behavior, and more importantly, that people can actually survive such intense brain injuries. Unfortunately for Gage, laws protecting workers in the event of an on-the-job injury were not regulated until the early twentieth century, and Gage probably was not entitled to any compensation for loss of wages. Thankfully that is not the case today. If you have suffered a traumatic brain injury, or any kind of personal injury, at work, contact a personal injury lawyer immediately to find out how you are protected. Once again, there is no cure for a traumatic brain injury. But that doesn’t mean you can’t work towards recovery. There are multiple treatment options available for victims of TBI, including mental and physical therapy to help restore any cognitive or motor functions lost because of the injury. The road to recovery can be long. Sometimes patients do not see results of treatment for months or years after the injury, and some do not see results at all. These treatments can put financial and emotional strain on a family, and you don’t have to go through it alone. If you or your loved one have suffered a traumatic brain injury due to the negligence of another, contact a personal injury lawyer today to get the compensation you deserve. If you have suffered a traumatic brain injury in the state of Texas, contact The Law Offices of Alex R. Hernandez Jr., PLLC. Our personal injury lawyers are ready to fight for you and explore all options to reduce your financial burden and get you the medical help you need. We’ll make sure the person responsible for your injury is held accountable for their negligence.